An ever increasing number of people who volunteer or work for our local groups, clubs, societies and charities are using social media. But for the uninitiated it can feel overwhelming and difficult to know where to start, never mind the technical requirements of how to start. Wouldn’t it be great if you could just sit and talk to someone who knows about social media? Ask them questions which might feel a bit daft, but which they will understand why you’re asking and how you’re feeling. Perhaps they might show you the basics of how something like Twitter or Facebook works, even how to set up an account and profile and post your first message. Wouldn’t it be just amazing if all this social media support was available for free, in a relaxed environment, over a cuppa ? And available regularly, so you could come back if you had forgotten something, or wanted to go further, or find out about something else new? This is exactly what the clever people from Podnosh in Birmingham thought, so they made it really easy for this sort of support to be made available anywhere in the world. They called the idea Social Media Surgeries and set up a website to help people who want to run them. 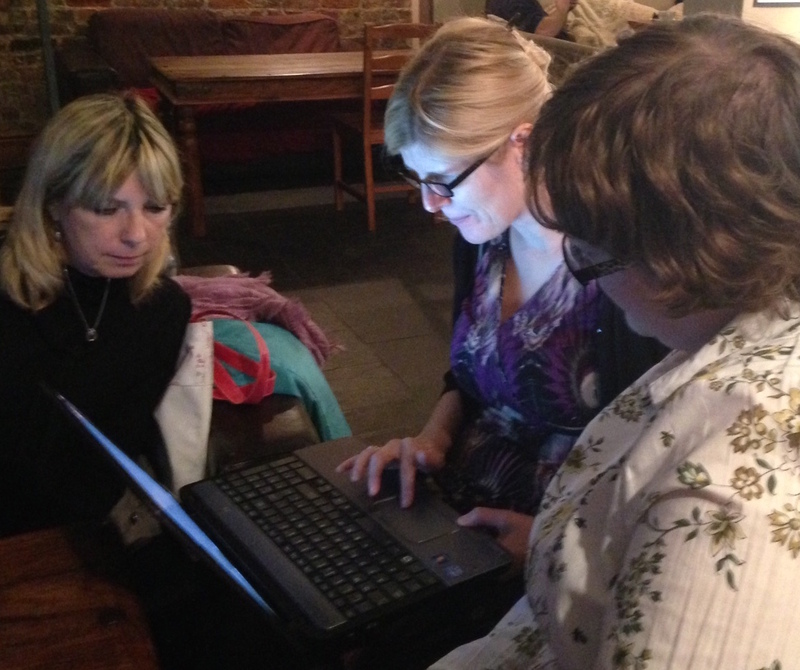 Melissa Guest and I have been hosting Social Media Surgeries in Dudley for nearly 4 years. The most recent one took place at Cafe Grande in Dudley town centre on 25 November, and is a great example of the diversity of things which happen. It was John Sanders’ first time to a Social Media Surgery. He was paired up with Deepak Rana, who by day works for Dudley Libraries service and expertly manages their social media channels such as the @dudleylibraries twitter account and their Facebook Page. It was Deepak’s first time giving his time as a surgeon (that’s what the helpers are called). John works for Community Transport in Dudley and Sandwell and wanted to learn how he could use Twitter and Facebook to help communicate with people who might enjoy volunteering with Community Transport, and generally to raise awareness of the service. 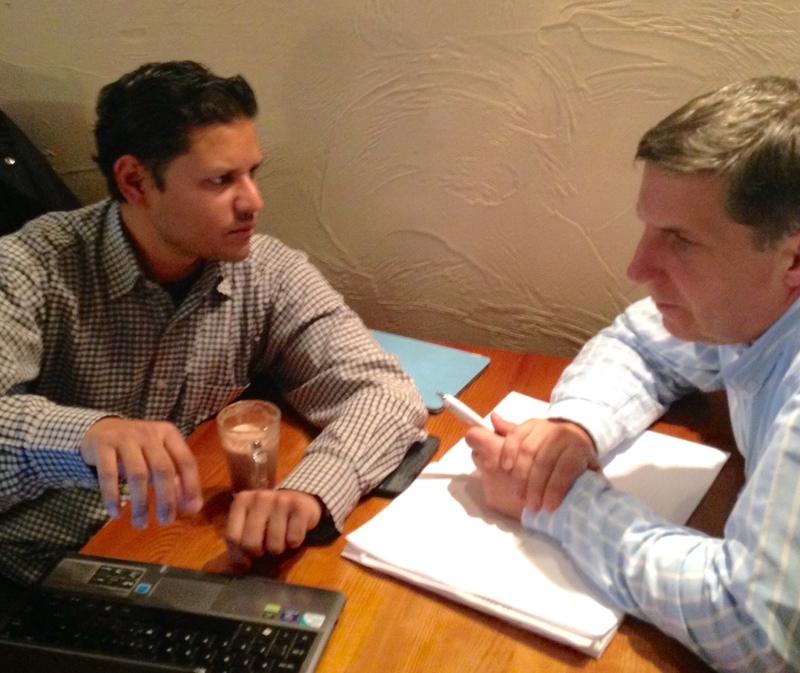 Deepak talked through and showed John how to use Twitter, then they set up a twitter account for Community Transport. Next they looked at Facebook. John was shown how to set up a Facebook Page (which is different to the personal profiles people use on Facebook to connect with family and friends) and how to link Twitter and Facebook to each other. John was surprised to learn he could come back to Social Media Surgeries whenever he wanted to. He was interested in learning about blogging – he said he had heard the word blog, but didn’t know what it was or what it meant. This is exactly what Social Media Surgeries are here to help with. Karl Denning is a guide dog owner from Dudley who campaigns for equality and raises awareness about behaviours which make day to day life difficult and even dangerous for partially sighted people – see this great video he made with Dudley Police. 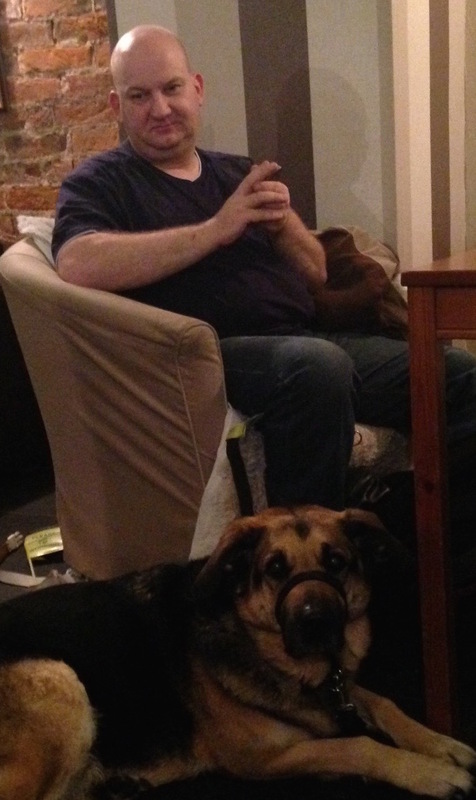 Karl first came along to Dudley Social Media Surgery a year ago, when he learned some new tips and tricks to use Twitter more effectively (he’s on twitter as @KarlDenning). He returned to the next surgery for help to set up a new blog on WordPress. It was great to welcome Karl and his guide dog Quasia back to Cafe Grande last month. Karl wanted some help get started on Instagram, which is a free online photo and video sharing service. It was the first time anyone had been to one of our surgeries asking about Instagram, and as someone who enjoys using it I was keen to help Karl get to grips with it. As usual, the surgeon learns from the person they are helping, as well as the other way around. I was fascinated to see how the software on Karl’s phone made using social media a breeze for people who are partially sighted. Looking at a photo based site with Karl was a great reminder of the importance of adding alternative text descriptions to photos when uploading them to blogs and so on. And Karl introduced me the most amazing Instagram account which I hugely recommend having a look at: NASA’s. It truly is out of this world and the images are jaw dropping. Social Media Surgeries will be running through 2015 in Dudley and Stourbridge, dates to be arranged. We arrange and host them in our own time, surgeons give their time and knowledge freely, the cafes we use give us their spaces for free, and Dudley CVS help to promote them. Please get in touch if you’d like to know more – I’m lorna@dudleycvs.org.uk on email and @dosticen on twitter.